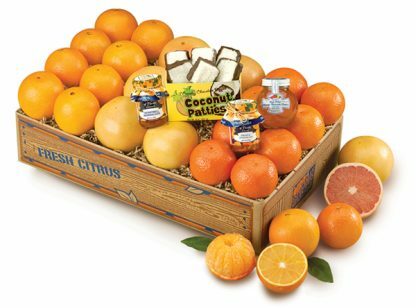 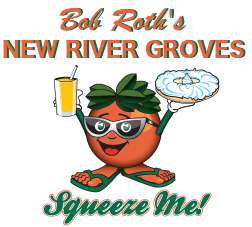 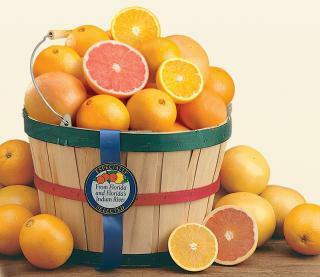 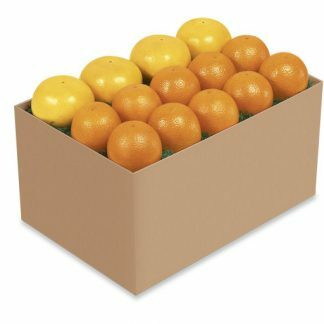 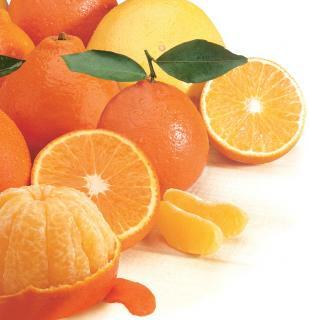 Sweet Florida Oranges, Ruby Red Grapefruit and delicious Florida Tangelos are together in one, easy-to-give gift … 15 pounds of Florida’s finest fruit in season. 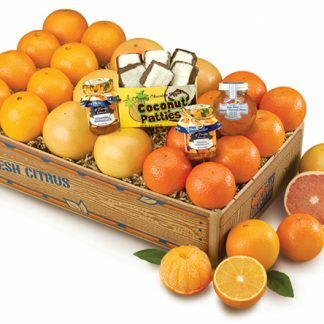 Plus, we’ve added our special selection of deluxe gifts, a jar of each, Honeybell and Orange Marmalade, 100% Orange Blossom Honey and a box of creamy Coconut Patties. 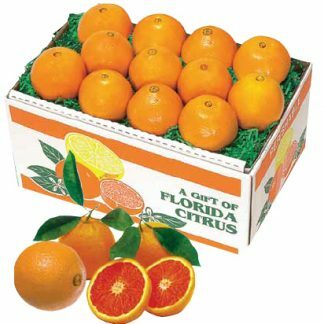 An exceptional gift at an extraordinary price!Available November to January.